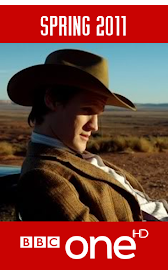 He was a wonderful actor, and an absolute credit to Doctor Who. 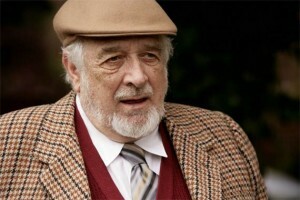 I'd like to get together as many people as possible to help put together a tribute for Nicholas Courtney. I'm pleased to announce that Club Gallifrey now has a fully working wiki! But, we need contributors. I can't write an entire wiki by myself, can I??? So, join up and start making some pages! 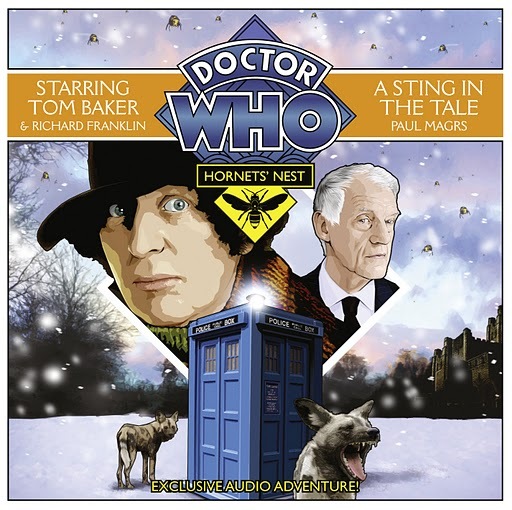 Hornets' Nest: A Sting in the Tale - Promotional Code for Free Download! For those of you who have been waiting impatiently for the next free download of the Hornets' Nest series, all you need to do is click here and enter the promotional code s71ng04. I'll be posting the next promotional code tomorrow! 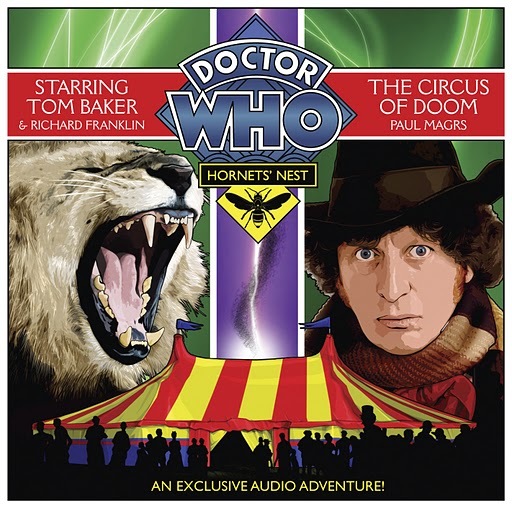 Hornets' Nest: The Circus of Doom - Promotional Code for Free Download! Using the code ci7c73, and by clicking here, you can download the third instalment of the Hornets' Nest series, along with the other's we've posted. 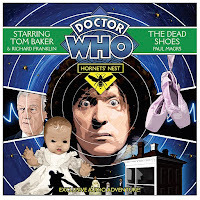 Hornets' Nest: The Dead Shoes - Promotional Code for Free Download! 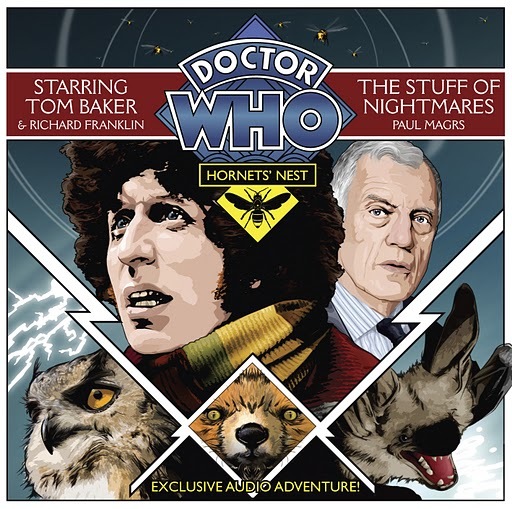 Here's another - the second free download with The Guardian, this time for the second in the Hornets' Nest series - all you need to do is enter n35t02 at the checkout, and there you have it - your second free audiobook out of a great many more! How about this then? 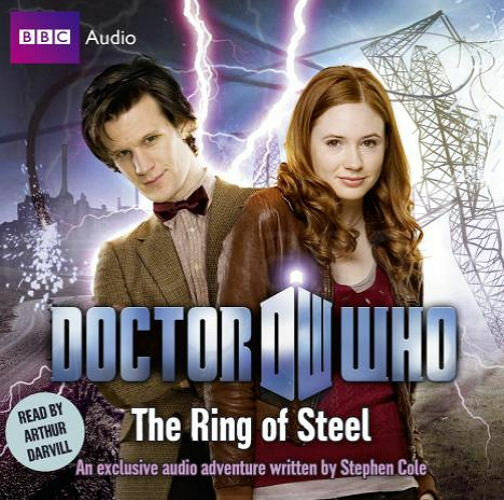 Third audiobook download in two days! This one came free as a CD in The Observer, and I've made it available as a download here for those of you who couldn't actually get hold of the newspaper. 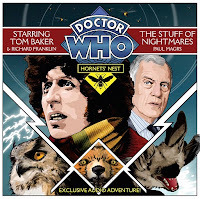 Hornets' Nest: The Stuff of Nightmares - Promotional Code for Free Download! Courtesy of AudioGO, The Guardian newspaper are giving away free copies of The Stuff of Nightmares. All you need to do is enter the promotional code below into the checkout, and you've got yourself a free audiobook - plus, it's completely legal! There are a few more codes to come, too - I'll put these on over the course of the week. 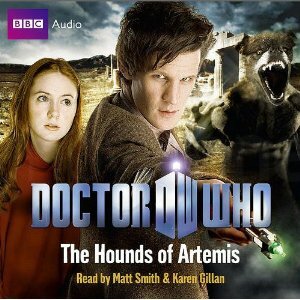 A few days ago, the Guardian gave away free copies of the Doctor Who audiobook The Hounds of Artemis, and here's the download for everyone who didn't have the chance to get it, along with the front and back cover. Everything – and I mean everything – since The Tenth Doctor went into that curious trance state as he regenerated in TEOT2, is a Myth generated and sustained by Ψ (Psi) energy. Furthermore, could all of this be happening in the space of a single moment? Is that what 'The Partisan' (if that's the lady I'm thinking of) meant when she said that the Doctor "still possesses the Moment"? Obviously, this "Moment" is something of crucial importance for the Timelords as it contains the potential for their own destruction. But I'm getting a bad feeling about her role in this now. We know that she practically worships "her" future Doctor as some sort of Super-Doctor, and doesn't that sound very Timelord Victorious? Remember Peter McKinstry's design for River's diary pages? The TARDIS with the words, "Time, see what's become of me" and, "the Timelord Victorious lives". Ominous words, from her past – but the Doctor's future. Could this be saying something - could the mystery of MΨTH be a reference to the Doctor's regenerations? Thank you Twitter's @clubgallifrey for extending me an invitation to contribute to this blog. As this is my premiere post, I thought it appropriate to write about two things. One, what it is that first drew me to both Doctor Who and Torchwood, aside from their wealth of fascinating stories about time and space. Two, introduce the websites under PROPERTY OF CDSAL99 COLLECTIBLES & MEMORABILIA and how they will be used to showcase my personal collection of Doctor Who and Torchwood. I've been a fan since 2005 when the new series of Doctor Who premiered in my part of the world on the Syfy channel (at that time, called the "Sci-Fi Channel"). The first ever episode that I watched is titled "Rose", giving me an excellent first impression of the series and introducing me to the Doctor Who universe. At first, it wasn't so much the stories or the science fiction aspect of it that drew me in, but the characters (or should I say a certain one) and their fascination in being shown a world beyond their own. Being equally fascinated, I was able to relate at that time to Rose Marion Tyler, wonderfully played by Billie Piper. This new-found interest allowed me to gradually become a fan of the other characters and eventually of the whole Doctor Who story in general. From the moment that I watched the "Rose" episode for the first time, I began to look more into the Doctor Who universe and as I did, being a memorabilia collector already, I found a magnificent abundance of sources that had items available to obtain. It was then that I began my collection of Doctor Who and Torchwood and have maintained it since. I presently run two websites: one called PROPERTY OF CDSAL99 COLLECTIBLES & MEMORABILIA at http://cdsal99.webs.com/ that includes a section for Torchwood; and the other called Doctor Who Collectibles and Memorabilia: The Online Catalogue at http://doctorwhocollectiblesandmemorabilia.webs.com/. Both of these websites are still under construction. Although I have a good amount of items to publish and showcase on these sites, they've still yet to be sorted and catalogued before publication. Nevertheless, this is a good time to introduce you all to how I plan using these sites in order to showcase my personal collection of Doctor Who and Torchwood. All items, except actual photographs and internet links, will be showcased on this page and they will be organized by item category. It is also my hope that all items listed will have a picture available through a PDF document posted to the site's Documents page (coming soon). For your convenience, the page also serves to collect all the active Twitter accounts related to Torchwood in order to highlight their real-time tweets. Doctor Who Collectibles and Memorabilia: The Online Catalogue will have a similar structure to my Torchwood page. Since items are not available to obtain directly through PROPERTY OF CDSAL99 COLLECTIBLES & MEMORABILIA, we have created mailing lists/mail-list serves on Yahoo! Groups; one for Doctor Who and the other one for Torchwood, both of which will be linked to the above page and above website. In these mail lists we will publish sources of where Doctor Who and Torchwood items may be available. You will have the option to either: join these Groups with an e-mail account to receive their notifications directly to your inbox, or simply keep checking back to the Group pages for any new information. Considering how many websites already exist that devote themselves to the trading of collectibles and memorabilia, we have the Yahoo! Groups available as a courtesy to those interested in coming to one place where they will find all these sources housed. The Yahoo! Groups have not been revealed yet because my existing collection first needs to go up before time can be devoted to the search and publication of available items to the Groups. So, you might be asking yourself: if any item that is a photograph or a link will not be published on the above two main Collectibles and Memorabilia sites, then where will they published? Photographs will be showcased in albums and you will have the option to access them as well as any individual photograph on the PROPERTY OF CDSAL99 COLLECTIBLES & MEMORABILIA site. Doctor Who Photo items will be showcased in its own dedicated Photos page within Doctor Who Collectibles and Memorabilia: The Online Catalogue. Links are of course showcased on each website's LINKS page. What's the purpose of me putting up websites to showcase my collection? It's really two-fold. My collection has been growing steadily (though there's been long periods in which I haven't been actively pursuing that hobby), and the time has come to make a list in order to keep track of these items. I've previously discovered, from listing items non-Doctor Who and non-Torchwood, that keeping such a list on an internet website is the easiest way to control the organization of it. I've also found that people have come up to me and asked where they can find a certain item that I already have in my collection. Sometimes, I've been able to help them in their search with no problem, but at others it has not been so easy because of how hard-to-find the item is that they are looking for. I love to be able to help anyone in their search and if there is any way that I can contribute to that endeavor, big or small, I will lend a hand. I know that at times while searching for that rare item myself I have wished for the help of those that knew where to find it. It goes without saying that the internet allows for people to connect with each other rather easily. And I want to express to any of you that if you so wish my assistance in your searches, it will be my pleasure; just like I always appreciate the assistance of another Doctor Who and Torchwood Memorabilia Collector in my searches. It is my hope that I will be able to foster and keep a network of memorabilia collectors like myself through these sites. If you have any questions about the items featured on PROPERTY OF CDSAL99 COLLECTIBLES & MEMORABILIA, please CONTACT US using the site's page. As a last note, I emphasize that any updates to these sites will continue to be recorded on both Twitter and Tumblr. The updates can be seen on each of the sites' HOME pages and if you use Twitter and/or Tumblr you have the option to connect so you can receive these updates the instant they are posted. Life, Doctor Who & Combom: Doctor Who IDW Mini-Series ''A Fairytale Life'': "Thou shalt click for larger portrait, my liege. IDW writer Matt Sturges has hinted heavily at some of the details concerning his upcoming ..."
The classic Target books are great. I've got every single one of them. How about new series ones?? Let's get as many people as possible and send this off to the BBC! After so many months, and so much consideration, here is the Club Gallifrey blog! I'll be posting any details about episodes etc, including filming details and spoilers; I will also be updating this every time a new video is uploaded onto YouTube.